Originally built in 1510, this property was converted from a barn into a house around 1560. The original family house once stood on the land where Netherhall Manor now stands, in nearby Tanners Lane. In fact, the chimneys on his house are reputedly the only surviving pieces from the original medieval manor which once graced this site. To date we do not know why they moved to the barn, or when and why the manor was demolished. Further research would be of great value. For a house of its age it has had surprisingly few owners. The Nethercoat’s were the first family to own it and the How’s the second. It is not surprising this house holds so much activity. Its age and familiarity must give it licence to be one of the oldest, if not the oldest, and certainly most haunted house in the town. Mary Fordham (nee Pollard) – A number of people living and staying at the house have claimed to have spotted the ghost of an old lady wearing a long black dress, standing motionless, with her arms crossed and staring blankly into space for some time. The description of the phantom matches that of Mary Fordham, who once lived at the house and who suffered from what is now known as catalepsy. Catalepsy is a form of epilepsy where the sufferer will stand as if in a trance lasting some minutes. Mary is also active downstairs, near the area that used to be the dairy. Here she is often spotted, still standing, asking the same question of all who see her, “Where is my son?‟ Mary had lost her son at an early age and it seems she is still trying, hopelessly, to find him. When Rachel Shadrack, a family member, died in the 1980’s in the attached cottage area, all the windows and doors blew open and the house visibly shook at the exact moment of her passing. During the 1890’s two Fordham children, relatives of the How’s, died from diphtheria. The children seem to have found an outlet for mischief and fun within their spirit forms. They are often heard laughing and running about the rooms. Light bulbs are often removed and hidden as well as electric lights switched on and off or flickered. “Auntie Grace‟, the present owner’s great aunt, was upstairs in bed ill and saw a dark shape move up the stairs. For an instant she thought it was her husband. You might think nothing of this, but for two facts; firstly, her husband was away fighting in the trenches of WW1 and secondly, later that day she received a telegram informing her of her husband’s death. The approximate time of his death was given on the telegram – the same time at which she had seen the apparition. Nethercoat Warren – Sent away on remittance, after committing an unknown crime a form of chosen exile for criminals whose family could afford for them to ‘disappear’ legally, Nethercoat went to Australia. To this day the family do not know what his crime was but it was sufficient enough for him to be absent a number of years. On his return he had nowhere else to go, so returned home to Soham and Causeway House. His own family, had by now moved out and Abraham Fordham and his family had moved in and were living there. Abraham duly let him stay with them and also gave him a job on the farm. Relieved to be home again, he swore never to leave. Nethercoat was given the hayloft to sleep in, next to the chimney breast for warmth. However, whilst working in the hayloft he fell from a hay stack onto his own pitch fork and died of his injuries days later. 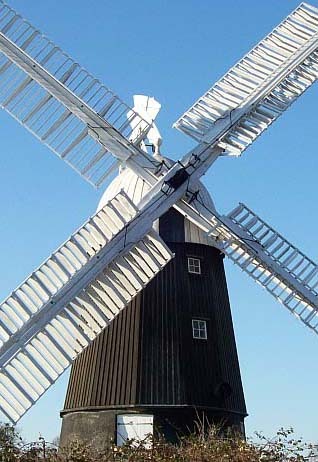 To this day, if any alteration is made on the house or change made to its structure, a sharp hard ‘wind’ blows throughout the house, emanating from the hayloft and the place where he fell. The ‘wind’ is strong enough to blow you off your feet and only stops when the changes are reversed or halted. So Nethercoat Warren was true to his word; he never did leave. I once asked the How’s how they could live in a house with so many ghosts and strange goings on. The response was, “Oh it’s nothing, you sort of get used to it, after all they are still family‟. It is a strange blessing for the reader that this family has lived here for so long, as it is rare to be able to name every ghost and apparition with certainty! 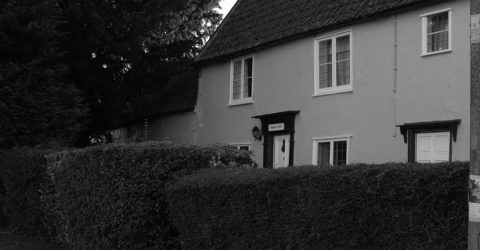 Causeway House – The Most Haunted House in Soham? 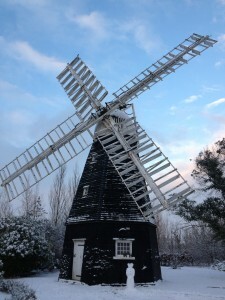 E L Johnston to Soham Heritage and Tourism. You can also follow a link to the Soham Ghost Walk facebook page on our home page under ‘Useful Links’ section.